Bright room featuring a TV, a seating area and an en-suite bathroom with a hairdryer. Our centrally located property lies in the historic centre of Schwabisch Gmund, one of the oldest Staufer towns in Germany. The history-laden market square - reputedly one of the most beautiful squares in Southern Germany - is just a few minutes walk away. 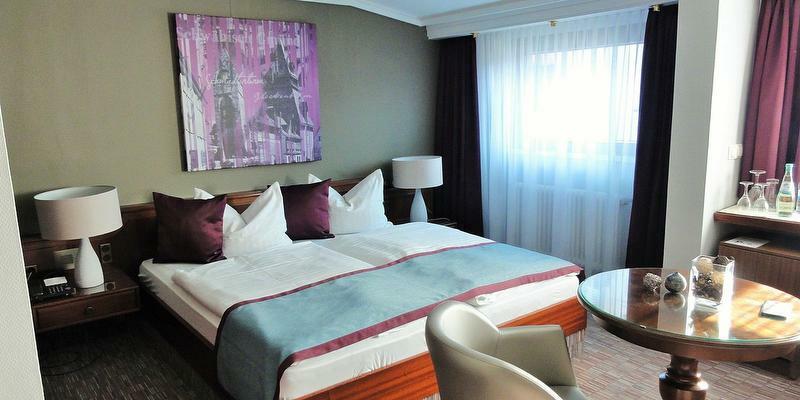 Hotel Pelikan is an elegant hotel in the heart of the city. We are an excellent starting point for all your activities. Take a guided walking tour and relive the city's thrilling past. Come and see for yourself. Schwäbisch Gmünd boasts a rich and varied cultural life: theatre shows, museums and various festivals. Schwäbisch Gmünd is easily accessed from the B29 motorway. For your convenience we offer underground car parking which you can use for a moderate fee. With 63 bright and comfortable bedrooms, friendly team and services to please both business and leisure travelers, you will enjoy a relaxing stay. Follow the signs to Goppingen, then Göppingen West. Take the B297 in direction Lorch, followed by B29 direction Schwäbisch Gmünd (62 km). Journey time is approximately 55 minutes. Check-In from: 3:00 p.m. / Check-Out until: 11:00 a.m.
Front desk open from 6:30 a.m. until 12:00 midnight/on weekends from 6:30 a.m. until 11:00 p.m.
From the airport take the S-Bahn (S3) to Bad Cannstatt. Then take the train (RE - regional express train) to Schwäbisch Gmünd. Journey time is approximately 1 hour 20 minutes. Taxi from Schwäbisch Gmünd train station: 800 m, 5 minutes, approximately 6 Euros.